It is dead easy to use. It provides quite a few overloads when it comes to logging. The core library has no dependencies on other libraries at all. 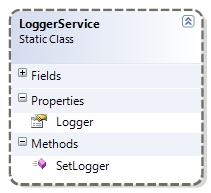 There are two façades (separate DLLs) that log through the Enterprise Library Logging block or the BitFactory logger. And hopefully more to come! Writing your own façade is as simple as overriding one single method. It’s not part of another project (completely standalone), and there is no license attached to it. Do with it whatever you want. 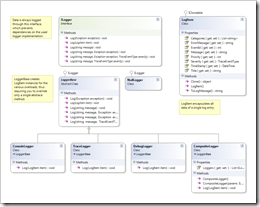 During the initialization of your application, you will have to specify the the logger implementation that is supposed to be used. This might happen declaratively or directly in code. Here’s the initialization code from NetDrives, which makes a logger available through the AutoFac IOC container. /// Gets the installed <see cref="ILogger"/> implementation. or, even simpler, derives from the abstract LoggerBase class. /// that outputs all messages to the system console. /// Logs a given item to the console. /// by the Enterprise Library based on a given log item. I saw your article on the codeproject. I’m new to the logging thing. Could you perhapse give me some sample code to write stuff to the event viewer? I’m a little stuck on this one. 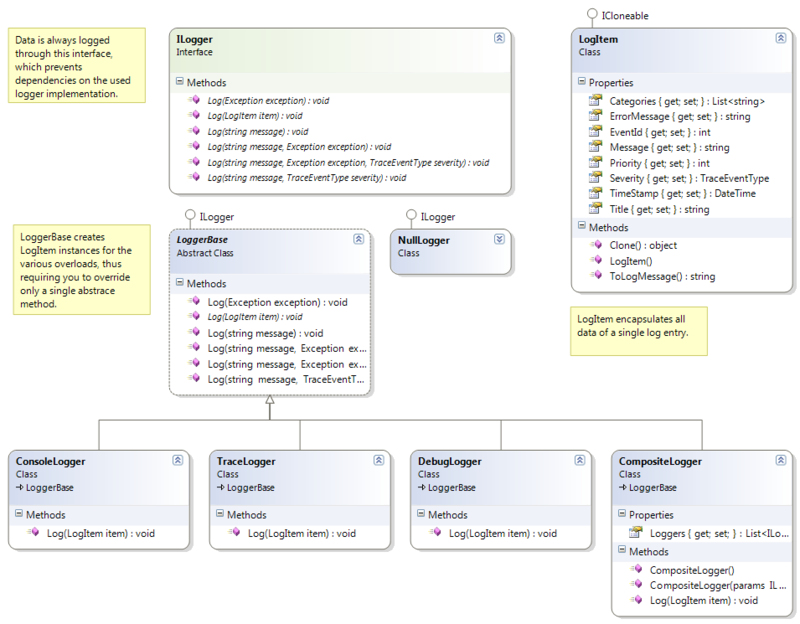 Check out log4net, it’s super easy logging framework, but quite powerfull. Make sure you read “Why doesn’t the EventLogAppender work?” if you want to play with system Event Log.